Little General in The International Crisis! What happens when three eighteen-month-old babies plot, scheme, and intrigue against each other? 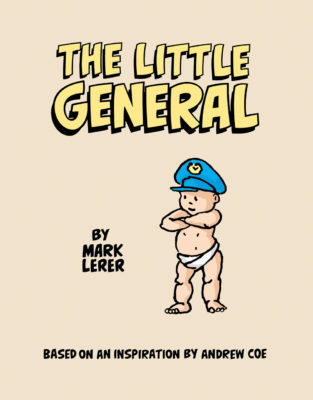 Funny, ironic, and entertaining, Mark Lerer’s satirical graphic novel doesn’t simply bemoan the tragedy of all wars–it shows how the damn things can get started in the first place.